452 GNSS channel Vanguard Technology™ with Universal Tracking Channels for multi-frequency tracking of multiple satellite constellations such as GPS, GLONASS, BeiDou, QZSS, SBAS and Galileo. Every job site is different. Every project has unique geographic conditions. Each day brings new hurdles to overcome. 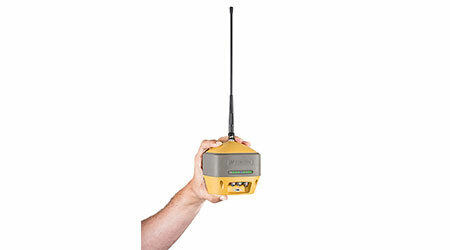 Topcon’s HiPer HR has everything you need in an integrated GNSS receiver in order to get your job done. Topcon is proud to be the world leader in advanced satellite positioning technology. 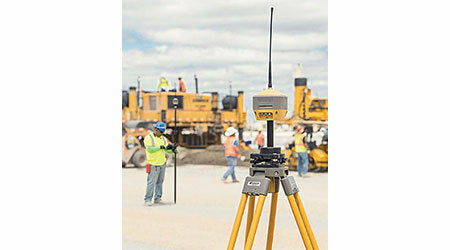 As the original pioneer of dual-constellation and G3 triple constellation integration, Topcon continues to lead all other manufacturers with the most sophisticated receiver technology and design. Standing on the shoulders of Topcon’s proven, industry-leading GNSS technology and innovation, the HiPer HR comes out head and shoulders above the competition. Starting from the foundation of Topcon’s world-class infrastructure GNSS receiver (Topcon NET-G5), we put that same power in a more portable, field-ready physical package. When it comes to communication options, it’s the best of both worlds, marrying the simplicity of the Topcon HiPer SR’s LongLink™ Bluetooth® communication, with the versatility and range of the Topcon HiPer V’s radio choices (UHF and SS). Add to this flexibility with the use of the internal cellular modem in a base scenario with MAGNET Relay. Or on the rover pole, create a Network RTK rover via correction services such as those provided by TopNETlive. You now have the ultimate GNSS receiver at your disposal, primed and ready to tackle any GNSS project you may come across. Topcon’s HiPer HR fits a lot into a small package, without sacrificing features and capabilities. We’ve raised the bar on consumer expectations for GNSS receivers by adding new technology and features while maintaining backwards-compatibility with prior Topcon GNSS receiver products. This continues Topcon’s mantra of creating future-proof products that also protect a customer’s past investment in other Topcon products. Not only does is the HiPer HR a powerful, versatile RTK rover, but if you combine it with MAGNET Field software and a Topcon robotic system, you can leverage the flexibility of Hybrid Positioning Technology to complete your diverse projects in less time. 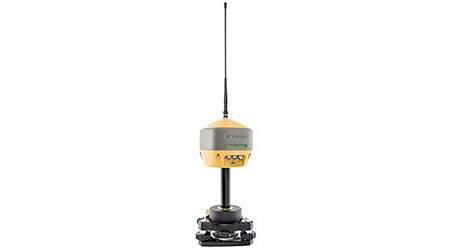 Now the strengths of both RTK and robotic surveying are at your fingertips, allowing you to switch from one to the other with a single button-push. Enjoy increased productivity over what you can achieve with either RTK or robotic setups by themselves.